February is a dangerous month. Just as you think that spring is on its way ­ maybe after a couple of pleasant months in December/January, King Winter tightens his grip on the small country. 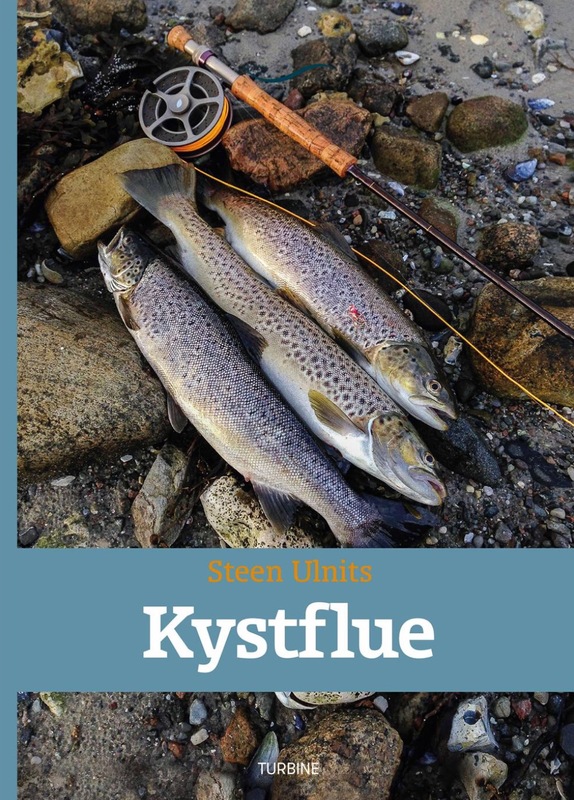 snowflakes are falling, and the waters are covered with a thin layer of ice which cannot be penetrated by even the heaviest fly and the fastest sinking fly line. It can be hard to accept such a turn when you had just started longing for spring. Fortunately, February means the beginning of a completely new season in the river. If it is sufficiently cold, shoals of bulging, silvery Greenlanders will have come up from the sea and fjords to spend the winter – away from the cold, salty waters that may threaten their lives. February is also the peak season for the anglers who start chasing the big spawning cod in the Sound with their stiff rods, heavy lines and heavy jigs. It is a tough job to keep warm with snowflakes whirling around freezing ears – usually hidden under a warm fur cap. Under the tightly packed boats, the spawning cod are packed just as tightly. It is a kind of mass wedding, where many cod spawn at the same time. It is questionable whether it is right to disturb the cod in the middle of spawning, when they are certainly not interested in food. 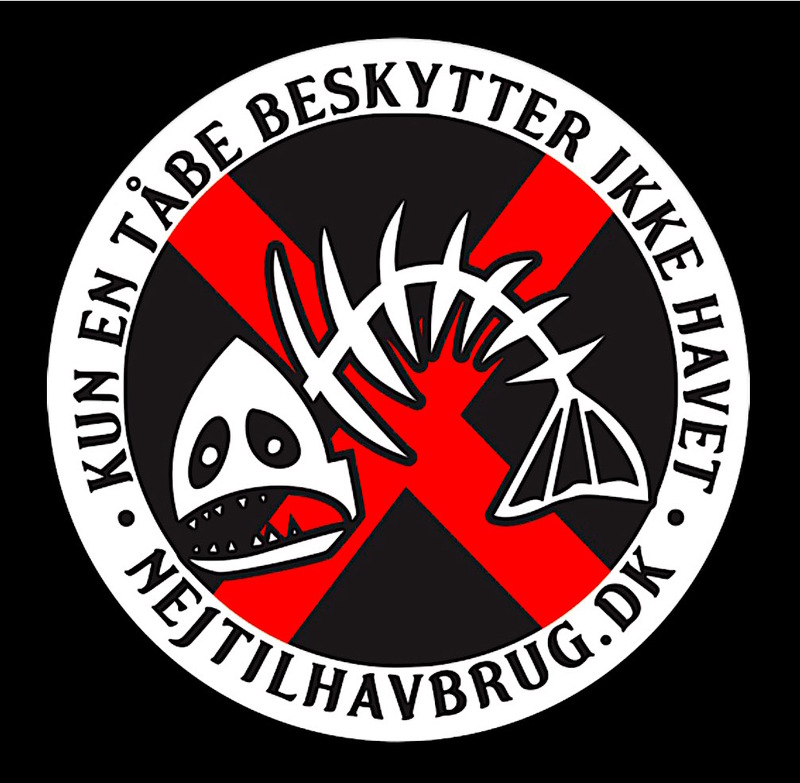 It is a fact that almost all the big spawning cod have been wrongly hooked. 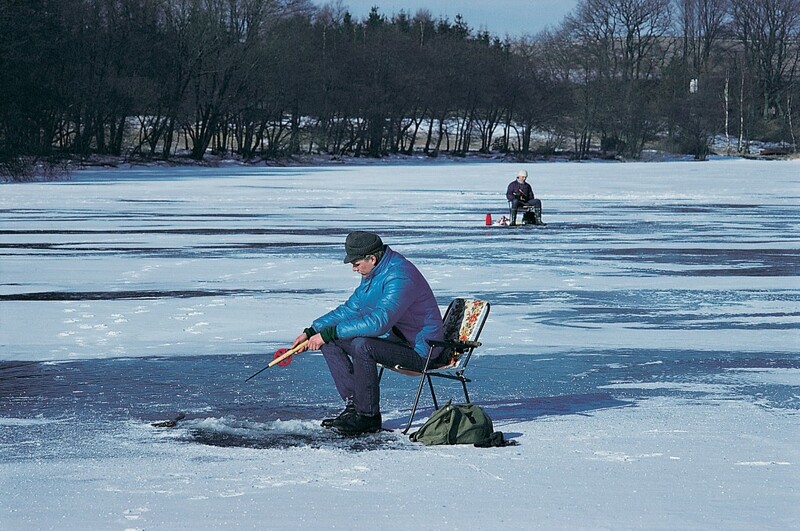 February is also the month that provides the biggest opportunity for trying ice fishing – something with is considered quite exotic in this country. This may be one of the rare few times the ice can bear a man’s weight, and for that it must be at least 10cm thick – preferably 15cm. When that thickness has been reached, get out the old ice drill, if you have got one. Otherwise you will have to borrow one or invest in one. Experience shows, by the way, that the best safeguard against future hard winters is to buy an ice drill! Once you get through the ice, it is actually quite funny that a typical warm water fish like the perch is the quickest deep-frozen catch. It can be difficult to find the shoals, so it is often necessary to drill several holes before you get a rise. The periods where you get a rise are usually quite hectic under the ice but equally very short. Along the coast, February is definitely the low season. The coastal waters are usually so cold that neither cod nor sea trout like them. 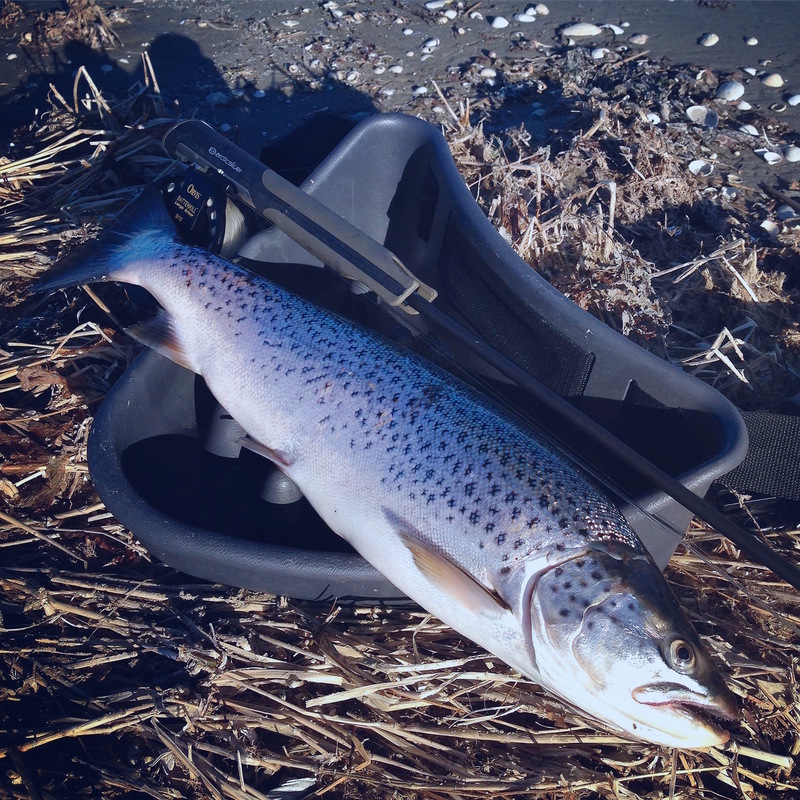 They have therefore moved to deeper and warmer waters or – in the case of the sea trout – they have moved into the brackish fjords or maybe even up to the freshwater rivers to spend the winter. A quick trip along the coast should head into brackish fjords instead of open seacoasts here in February. And in the protected inlets, there is usually always something to look for. And if it should become necessary – as it has so often before in February – to fight your way back to the car and a little warmth through a heavy snowstorm from the east, there is no reason for despair. Beginning late February, springtime is just around the corner – with lots of angling possibilities and a brand new season waiting ahead!